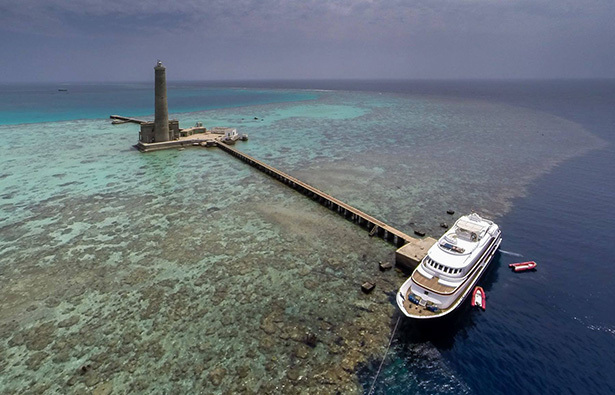 Sanganeb boasts the tallest lighthouse in the Red Sea. The 50m-tall tower was built by the British between 1958 and 1964. A mere 268 steps lead all the way up to the look-out where a 360° view awaits us onto the marvelous Red Sea, as far as the eye can see. 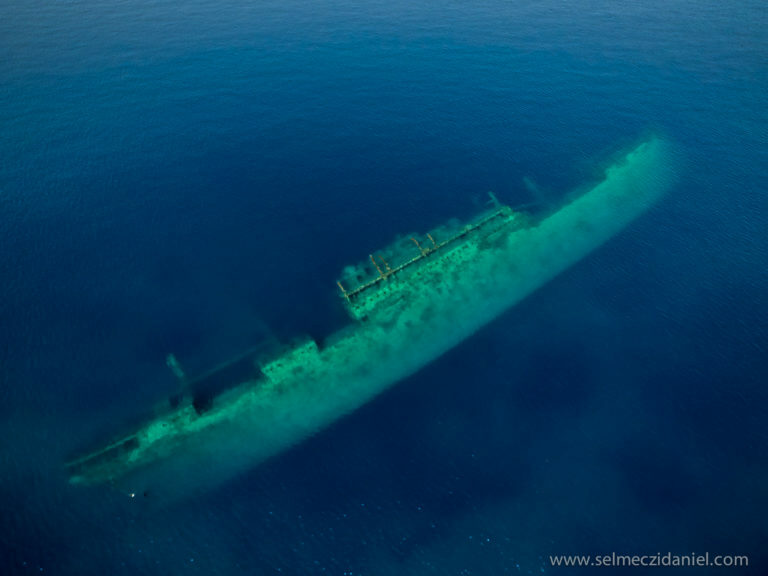 The Umbria is one of the most famous wrecks in the world. 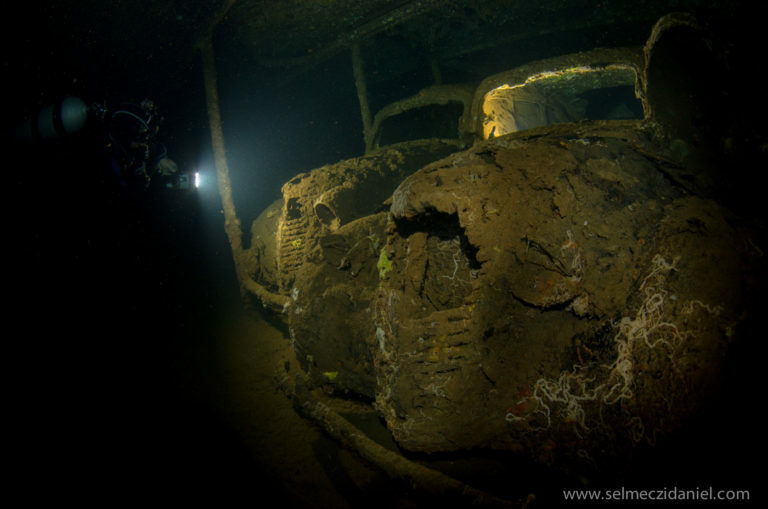 She is easy to dive and she is in an exceptionally well preserved wreck with a length of 150m. She lies in calm waters, void of currents, and protected by the Wingate Reef not far from the harbour of Port Sudan. Her demise was not caused by surging seas but rather was the result of war-time conspiracy, that is, she sank at the hands of her own captain. The Umbria does not lie deep at all, since her deepest point is only at 36m, and the tops of some of its davits even peek out of the water. The parts of the wreck lying at a higher depth can even be dived without scuba equipment. 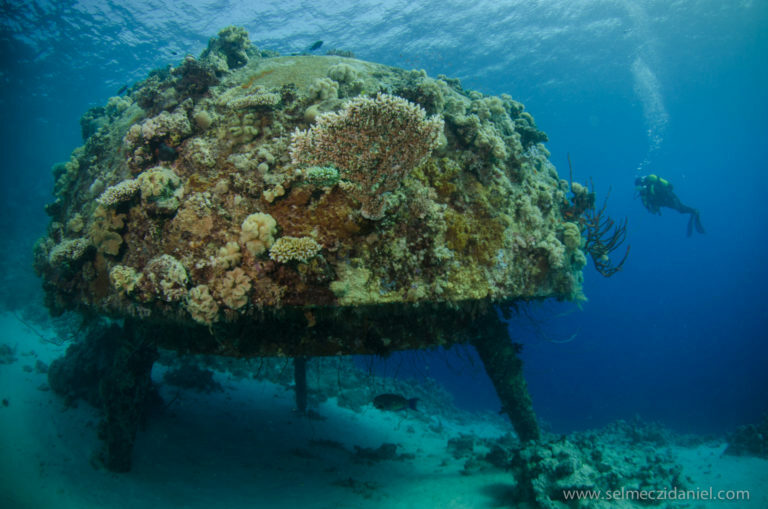 Thanks to plenty of light getting through and to excellent visibility, the virtually intact hull that is overgrown by colourful corals and crustaceans, can be accessed on the inside and on the outside in her entire length. About 18 tons of ammunition and explosives still lie in her cargo holdings along with half a million of Maria Teresa coins. One compartment in the bow still holds aerial bombs, airplane tires, storage jars wrapped in straw, rolls of electric cables, and not-yet opened wooden boxes. The bags of cement in the third holding block have now solidified and turned into cement blocks. And right above them are the very much recognizable remnants of three Fiat 100cc Lunga motorcars. Originally the boat was on her way to Eritrea with her cargo but she happened to set anchor in Sudan when Italy proclaimed war on the country. The Sudanese occupied the boat but then news came that she was sinking. 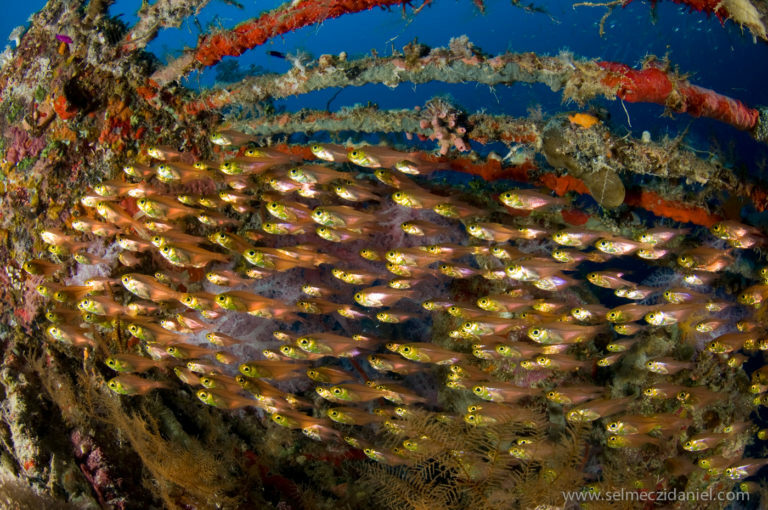 If you would like to dive the wreck, you can still join us this spring. The Precontinent II (Conshell II) is an underwater station at the Reef of Shaab Rumi. To this day it is a favourite dive spot. Can man live underwater for an extended period of time? The filming of this attempt took place in 1964 at Shaab Rumi when the movie World without Sun was shot. The film was awarded the Oscar for best documentary. Of the science station, built in the 1960s, only the cone shell and the scooter garage remain at the dive spot. All other elements had been removed from the sea. In March of 2015, Cousteau’s grandson, Fabien and his colleagues came to Sudan to spend a week with us onboard Andromeda, and to dive the same sites that Cousteau did some 50 years earlier. … is a wonderful ecosystem, wrecks alive with abundant marine life, and coral reefs that today are part of the world’s most species-rich living systems. 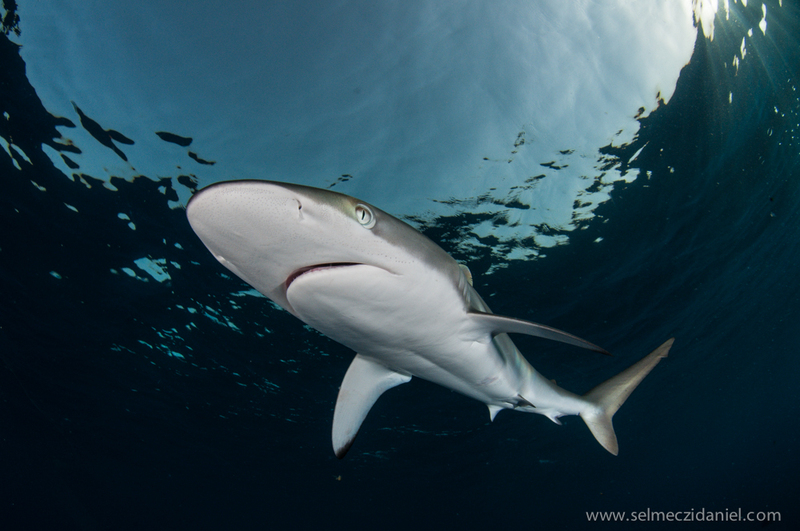 Its waters are teeming with hammerhead and reef sharks, dolphins, turtles, barracuda and jackfish, just to name a few! For our special offers, contact us by e-mail: info@cassiopeiasafari.com !